At SoundLife Hearing Technologies, our team understands the intricate and impressive technology that goes into crafting hearing aids. The SoundLife Hearing Technologies team also knows how incredibly complex the human ear is itself, and how amazing it is that it does it’s job as well as it does. We also know that not everyone shares the same knowledge of how these things function. 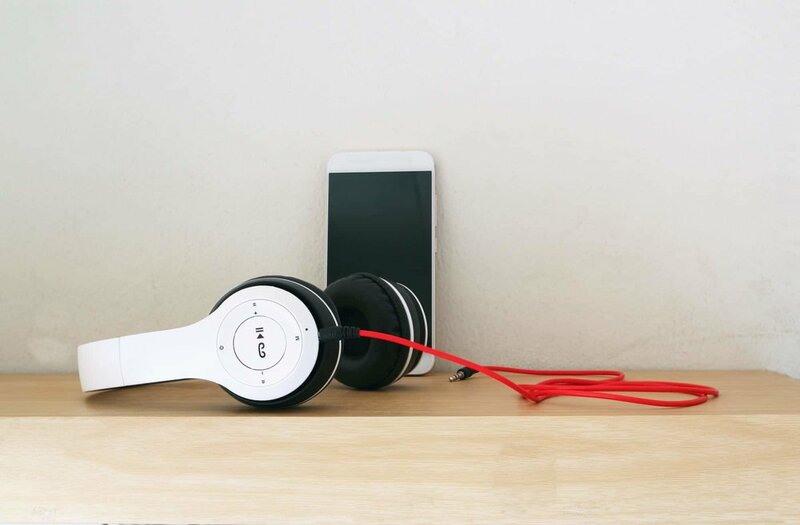 In this entry of the SoundLife Hearing Technologies blog, we’re going to break down a few basics to help you understand how healthy hearing works, how sound functions, how it travels to your ear, and how it’s interpreted by your brain. The inside of your ear is a fascinating structure, especially when we consider how small it is, and how big of a job it does. Going inside your ear you have the ear canal, which leads to your tympanic membrane, commonly known to most of us as the eardrum. The eardrum is attached to a collection of tiny, connected bones that are behind it. These bones are themselves attached to the cochlea and the semicircular canals. We’ll get to how all of these work together in a moment. You don’t need to be a professional at SoundLife Hearing Technologies to know that what we perceive as sounds travel by vibrations in the air. To illustrate with a simple example, when someone kicks a ball, the impact of their foot hitting the ball causes a shockwave to travel through the air, which is picked up by your ear and processed as a specific sound. The speed of sound — at least in dry air — is 343 miles per second. When the vibration reaches you, your outer ear captures it, effectively funneling it into your ear canal. This causes your eardrum to vibrate, which passes the vibration on to those three tiny bones we mentioned. The bones accurately conduct these vibrations into the cochlea, a strange-looking, minute organ with a curl similar to a snail’s shell. This is the really amazing part, even to the SoundLife Hearing Technologies team who deal with hearing issues every day. The cochlea takes the vibrations fed to it from the eardrum and the small bones of your ear and transmits them as an electrical signal to the brain. Your brain and cochlea work in conjunction with all of these parts to turn these vibrations and electrical signals into sound. The semicircular canals we mentioned above are attached to the cochlea and also send signals to the brain. Rather than directly contribute to hearing, these fluid-filled tubes actually send their own signals relating to balance and equilibrium to your brain. We hope this has helped to shed some light on how the incredible process of your hearing works. If you’re suffering from a hearing impairment, need a check-up, or need repairs for your existing hearing aids, contact a SoundLife Hearing Technologies hearing specialist today. We can help you find the perfect solution for your hearing issues and will do everything we can to give you the best personalized and informative customer service. Take a look at our hearing evaluation and solution services. SoundLife Hearing Technologies is dedicated to your hearing health. Whether you’re looking to see a hearing specialist for hearing aid fittings, repair, or a check-up, we’re here to help. However, your hearing health is more than visits to a hearing specialist to help with hearing impairments. It’s also about looking after your ears and keeping them healthy, especially if you’ve yet to experience any hearing issues. While it doesn’t guarantee that you’ll avoid developing hearing issues, properly cleaning and caring for your ears can help. But any hearing specialist will tell you there are a few things you should avoid when keeping your ears clean. In this blog, we offer some advice for how — and how often — you should clean your ears. How Often Should I Clean Out My Ears? This might surprise you, but you actually rarely, if ever, need to clean out your ears. While your mom might have demanded it of you when you were a little kid, even forcibly irrigating them with a cotton swab, it’s pretty unnecessary. Your ears can take care of themselves. In fact, the wax that you’re usually trying to clean out serves an important purpose. Ear wax acts as an antibacterial protective layer. Trying to clear it out can leave you open to infection, or compact it and cause it to block your ear canal. Some people do have excessive ear wax that can cause hearing issues, but only then is there really any need to clean them out. Even then, once a week is usually more than enough. If you have experienced a build up of wax that’s causing discomfort or hearing issues, you can clean them out a few ways. A small amount of hydrogen peroxide mixed with warm (not hot!) water poured into your ear is a typically reliable home remedy. Just keep your head tilted to one side for a few minutes, and have a towel or handful of paper towels ready for when you tilt it the other way. There are various different home remedies that work in much the same way, but you’re usually better off consulting a hearing specialist. Can’t I Just Use Cotton Swabs? No. While plenty of people still do use cotton swabs to try and dig out the inside of their ear canal, it’s a bad idea. Not only are you impacting the wax that’s already there, you’re also risking damaging your ear canal, or even your eardrum. Absolutely not. People might recommend ear candles as an effective treatment for ear wax, but it’s always a bad idea. Not only are they ineffective (the “residue” often claimed to be ear wax inside the candle is just burnt material), they’re also dangerous. You run the very real risk of having burning hot debris falling directly into your ear canal. For your own health, stay away from ear candles. If you’re experiencing hearing impairments and are looking for help, talk to a hearing specialist at SoundLife Hearing Technologies today. We can also help with maintenance and adjustments for your hearing aids, as well as consultations and fittings for new ones. Talk to a professional at SoundLife Hearing Technologies about hearing solutions today. What Happens in a Hearing Evaluation? It’s not often that you get a hearing evaluation, so it’s understandable to wonder how the appointment is going to go. There’s nothing to be afraid of, as a hearing evaluation is a painless and relatively simple appointment. Today in the Soundlife Hearing Technologies blog, we’ll give you an idea of what you can expect. As with any medical appointment, when you arrive you’ll have to fill out some paperwork. We know it’s a pain, but it’s also important to get your medical history in order to give you the best results in your hearing evaluation possible. Also, if you’ve had tests done in the past, it’s good to bring those results along with you. It helps to see how your hearing has changed since then. Air Conduction Test - This is probably the test most people are familiar with. In this test, you’ll wear headphones and raise your hand to indicate which ear the tone is playing in. The different tones give us an idea of the types of sounds you can hear. Bone Conduction Test - Did you know you can hear through the vibrations in your mastoid bone? In fact, there are some headphones that utilize this technology. The same principle applies to this test. This allows us to pinpoint what part of the ear the hearing loss can be attributed to. Speech Test - This test uses spoken words to determine your ability to hear words at different volumes. You can expect your exam to take about 30-45 minutes, on average. After these tests, the testing portion of your hearing evaluation is complete. What happens next depends on the results of your hearing evaluation. If there isn’t anything wrong with your hearing, you can go home with a clean bill of health and peace of mind. If we find instances of hearing loss, there’s no need to worry. We can begin the process of fitting you for a hearing aid. We’ll make sure to get you the perfect hearing aid that meets your individual needs. At Soundlife Hearing Technologies, we offer hearing evaluations, fitting for hearing aids, hearing programming, hearing aid repair, and more. Getting your hearing evaluated on a fairly regular basis is vital for keeping track of the health of your ears. Contact us today for more information and to schedule an evaluation with us. Loud concerts can do a lot of damage to your hearing if you don’t take precautions. Today your Soundlife hearing specialist gives advice on being safe. What kind of factors can lead to hearing impairments? SoundLife Hearing Technologies explains some of the conditions and injuries that can damage hearing. 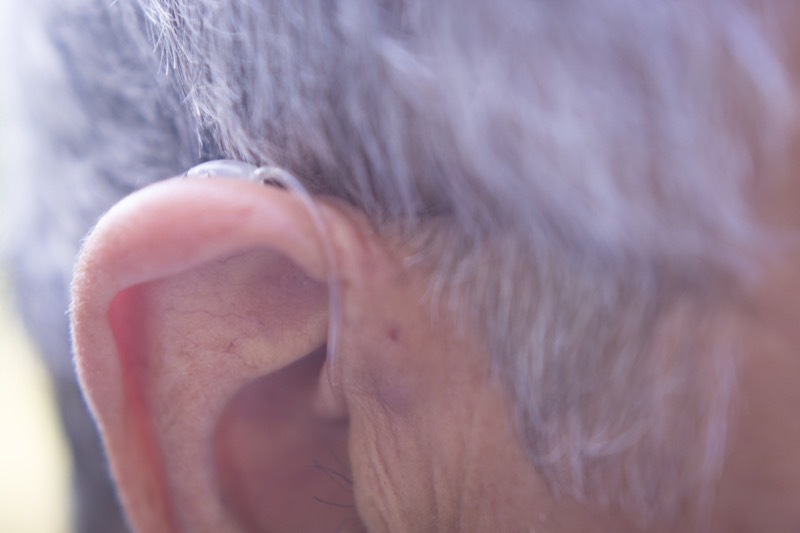 You might be surprised at the sheer variety of different hearing aid models out there. SoundLife Hearing is here to explain the differences between them. SoundLife Hearing Technologies offers some simple explanations for new patients. What’s an audiologist? How can they help your hearing? Find out more here. Protecting your hearing from damage is extremely important, and not enough people think about it. Our hearing specialist offers some professional advice. How do hearing impairments affect your daily life? You might be surprised at just how profound the difference can be with the right quality hearing aids. This report reveals some simple lifestyle changes you can make to reduce your risk of developing dementia. The least expensive approach is also the simplest: if you smoke, stop. More recent studies seem to reveal that wearing hearing aids help prevent this from happening but it's early in the research and nothing is definitive yet.